No parent, especially an enlightened, modern parent, wants to accuse their teen of using drugs or drinking. And some parent may feel inclined to sweep odd behaviour under the rug, rather than confront their child and ‘be the bad guy’. However, as we all know being a parent entails parenting. Parenting is about being in charge, setting rules yet allowing our children to grow and develop in to their own separate identity from us. Parenting is about guiding and communication. Parenting is about tough choices and very often being the bad guy in our teens eyes. I’ve seen many different sites with such lists, and they all seem to say the same thing: if you see any of these signs, then your child is on drugs. But these lists have things like: new friends; not wanting to take part in family activities, and so on. Yes, of course these can be signs, but they must be taken into consideration with other signs. One of the best pieces of advice I was given is one I always share with other parents: be open minded, make sure you have an openness with your child (so that they know it’s okay to talk to you about anything), and develop great communication flow with your child. It’s by having good communication with your child, an openness where your child knows they won’t be met with immediate punishment for something they are dealing with (and we’re not talking when they tell you they broke curfew to see a band. however, this kind of thing should always be met with a calm, level head, and any punishment should be fair and handed out the following day), or a closed mind. It’s hard, but this is the only way you can not only know what’s happening in your teen’s life, but the way in to help and guide your child to a better, brighter path. These top ten signs also contain signs that good parents should be on the look out for as an indication of a wide range of issues, from bullying to teen angst to drug use. a drop in grades/dropping extra-curricular activities – while this can be caused by many things, it’s a definite indicator of drug usage. In any regards, these kinds of changes are something that every parent should be concerned about. glassy/blood shot eyes – smoking pot, drinking, doing other drugs. These can lead to glassy eyes, changes in pupil size and yes, redness. Sudden usage of eye drops and mouthwash should also be taken as an indicator. withdrawal from family and friends and social situations – all teens go through surly stages, but to withdraw from all such things are a sign there’s something going on that needs to be dealt with. And yes, in conjunction with other things on this list, withdrawing from not only family but most social situations is a pretty big indicator of drugs. money/valuables missing – while this might seem like a no-brainer, it’s sometimes not that easy to spot. A little money from this wallet, from that purse is often not that noticeable, but it adds up. And small items like jewellery or expensive nicknacks can often go missing if they’re not worn often or prominently on display. And, while you’re at it, make sure you keep a strict count of any prescription drugs. mood swings – teens often have mood swings brought on by hormones, but there’s usually a basis for them. If your teen suddenly starts having mood swings – angry, depressed, hyper – without any real reason, then it’s definitely time to look closer. strange behaviour – secretiveness, being super lethargic or overly talkative, gurning jaws and jittery eyes, all these things and more are signs of drug use. Keep an eye out for such things. Sometimes people tend to write it off as a teen being a teen, but it could definitely be drugs and very much worth investigating. sudden poor hygiene – I’m sure most parents think their teens will go through some slovenly times, but a teen who’s been always particular about hygiene and personal grooming to suddenly not care is definitely cause for concern. changes in appetite – suddenly not eating, throwing up, eating way more than usual, all these can be signs of a problem. And drug usage. You know your children. Make sure you keep an eye out for sudden, unexplained changes in appetite. changes in sleep pattern – some teens like to sleep a lot, but they are pretty consistent with sleeping patterns. Drug use can lead to changes in sleep patterns. If your child suddenly takes to staying up all night, or sleeping way longer than usual, or even having fitful and restless sleep periods, investigate. sudden changes in friends – new friends are no big deal, usually. We all meet new people and make new friends all the time. But if your child suddenly drops good friends for a new group of friends then it is time to look into it. Often this behaviour, combined with any of the ones above is a sure sign your child is on drugs. 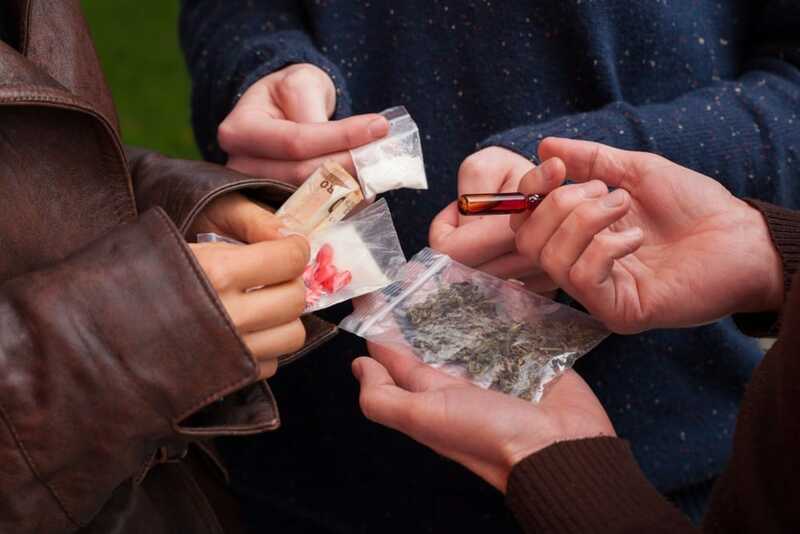 Once you think you have a problem like drugs being used by your teen, it’s time to talk. And if they won’t, don’t be afraid to look through their phones. Parenting is about tough calls, but if you catch something like drug abuse early, then you can really do something to help your teen avert a dark path.